A great book for beginners and expert alike. 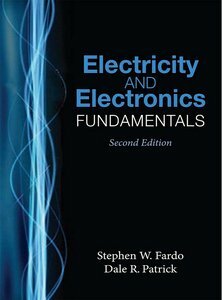 Electricity and Electronic fundamentals is a must in your collection of E-Books on the said topic of Electrical and Electronics Engineering. An introductory text, Electricity and Electronics Fundamentals, delineates key concepts in electricity using a simplified approach that enhances learning. Mathematical calculations are kept to the very minimum and concepts are demonstrated through application examples and illustrations. The books span of topics includes vital information on direct current electronics, alternating current electricity and semiconductor devices as well as electronic circuits, digital electronics, computers and microprocessors, electronic communications, and electronic power control. Supplementary appendices provide a glossary and section on electrical safety along with an explanation of soldering techniques.